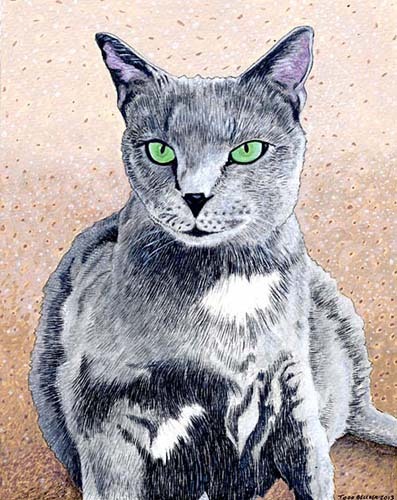 "We are absolutely thrilled with Smokey’s portrait I want to thank you sooo much! We can’t wait to get it framed. It will look great on our wall. Thank you again for this beautiful work of art. If anyone we know wants a pet portrait in the future, we will gladly refer you."